Could Cambodia’s southern coast be Asia’s next resort hot spot? In Cambodia, all roads have traditionally led to Phnom Penh – at least from a real estate speculation perspective. The charismatic capital is the country’s hub of commerce, by far its most liveable city in terms of amenities and has its best lifestyle options. To cap it off, improved connectivity to major Asian destinations such as Singapore, Hong Kong and China from Phnom Penh’s international airport has further cemented the city’s status as the nation’s investment epicentre. With a variety of large-scale, quality condominium and serviced apartment developments redefining the city’s skyline, Phnom Penh will continue to be Cambodia’s property lynchpin. Significant movement in other regions, however, is now spreading the action more evenly. Unsurprisingly, given its prized combination of azure ocean, spotless white-sand beaches and lush tropical scenery, many experts tip the south of Cambodia as the country’s next investment magnet. 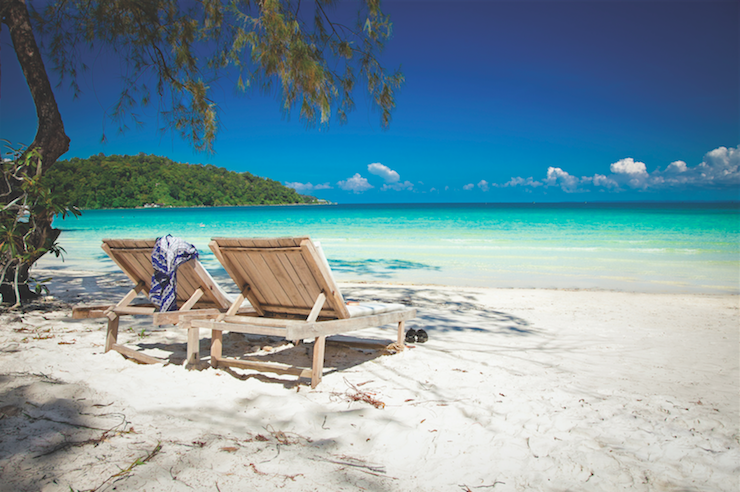 Long established as a haven for backpackers and well known to long-term Asia residents, the city of Sihanoukville, in particular, is broadening its appeal with luxury condominiums and sumptuous island retreats gaining primacy over the infamous dive bars and beach bungalows. There are now scheduled flights between Sihanoukville and Phnom Penh and Siem Reap, cutting journey times from the capital and the country’s main tourist town. Silk Air was due to launch its first direct flight from Singapore to Sihanoukville in December 2015. And with other airlines looking likely to follow suit, the scene is set for the rise of a formidable contender in Southeast Asia’s resort property sector.